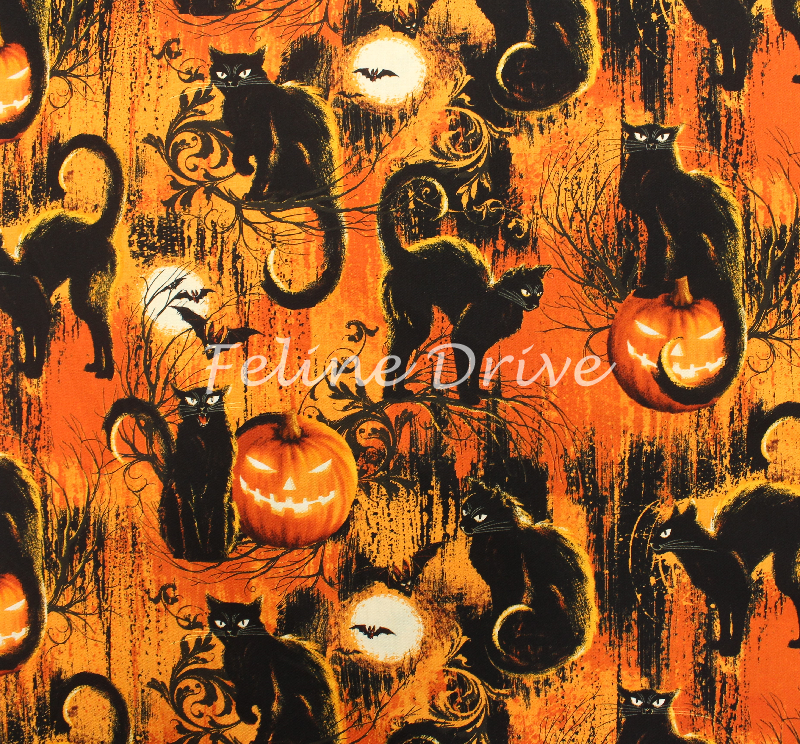 This is a gorgeous Halloween fabric from Timeless Treasures with black cats on an orange background with moons, bats, and spooky jack-o-lanterns. 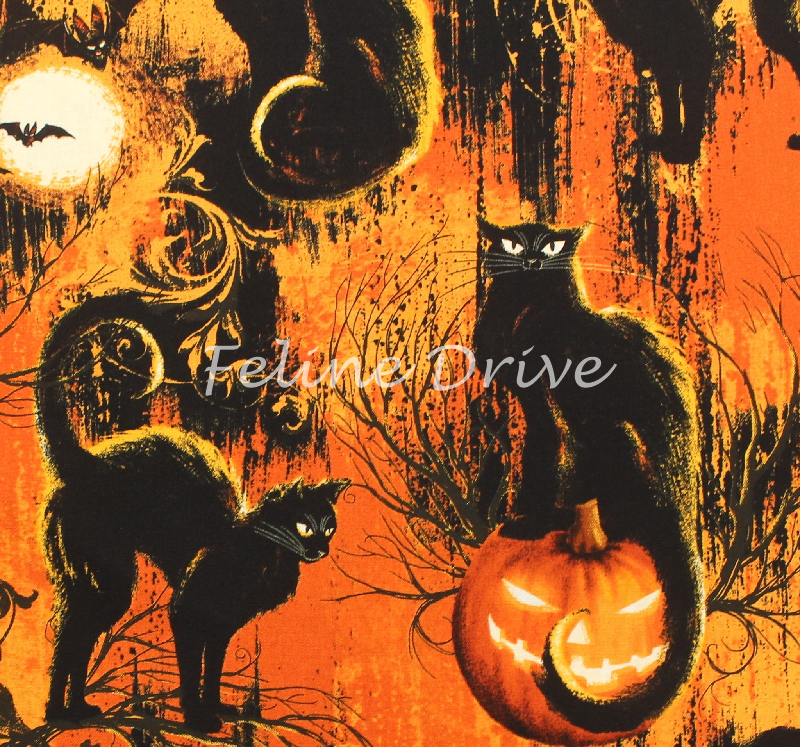 Print Size:Cats range in size from approximately 4" to 6" including tails. Minimum cut is 1/2 yard.